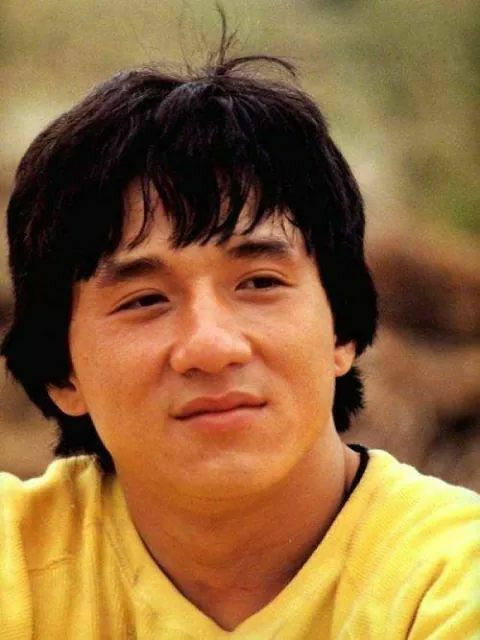 8 Interesting Facts About Jackie Chan You Didn’t Know. 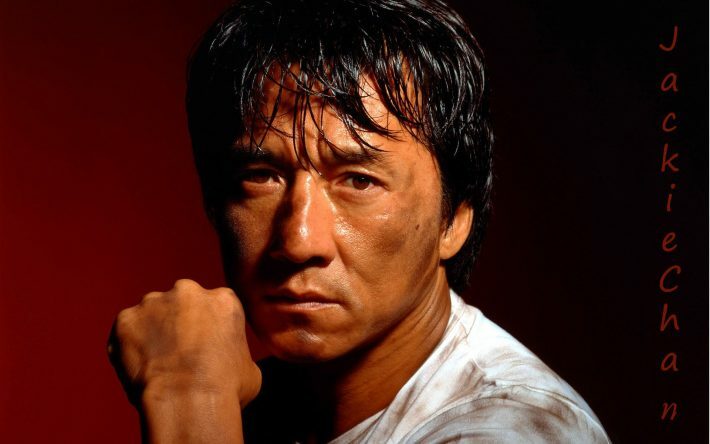 . .
Jackie Chan is not limited to just acting, he is also a trained martial artist, a film director, a producer, a stuntman and a singer as well. Jackie’s birth name was Chan Kong Sang. His father was a spy for Chinese Nationalist Government and mother was a stage performer who used to sell opium. Jackie was very energetic child and hence he got his nickname ‘Pao Pao’ which means cannonball. Later, Jackie’s parents fled to Australia for work and he was left abandoned at the boarding school. He got the name ‘Jackie’ when he was working as a construction worker in Australia. 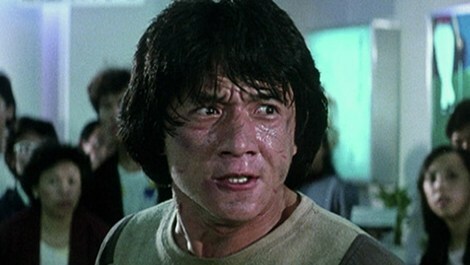 Jackie Chan is a classically trained vocalist and has released more than 20 albums in over five languages which are Cantonese, Mandarin, Japanese, Taiwanese and English. 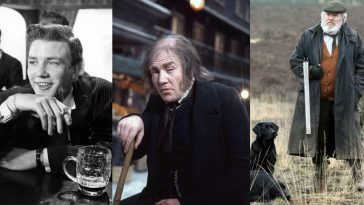 In addition, he has also provided theme tunes for several of his earlier films. Jackie isn’t much of a fan of Hollywood because he doesn’t understands hollywood. 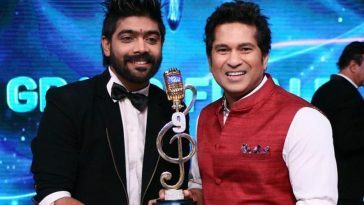 After giving some major blockbuster hits like ‘Rush Hour’ & ‘Shangai Noon’, Jackie says he doesn’t get american humour. 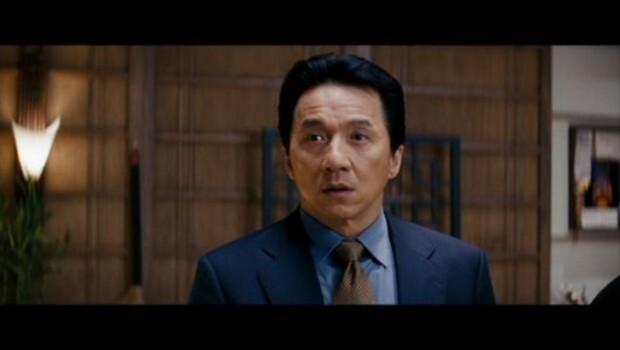 He once said that he didn’t like Rush hour but he did all the sequels because he was offered truck loads of money. 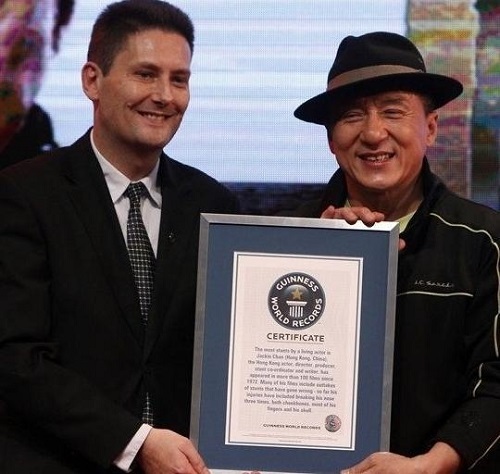 Talking about his world records, Jackie holds two Guinness World Records – one is for most stunts performed by any living actor, and the other is for most film credits in his 2012 film ‘Zodiac’. He worked as a director, writer, lead actor, executive producer, producer, unit producer, art director, cinematographer, manager, prop man, stunt coordinator, stuntman, gaffer, theme song vocalist, composer and even the food caterer. That’s incredible! Jackie has built a Stuntmen Association named ‘Sing Kar Pan’ with trusted and well trained stuntmen. Some of the team members were jackie’s boarding school buddies.The actor, together with stuntmen team would choreograph action scenes in his movies. 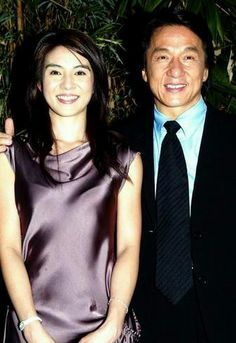 Jackie Chan married Lin Feng-jiao, a Taiwanese actress in 1982. He has a son Jaycee Chan with his wife Lin and a daughter as a result of an extra-marital affair with Elaine Ng Yi-Lei. Jackie did a movie in 2001 named ‘Nosebleed’ about a window washer at World Trade Center, who stops a terrorist attack. But unfortunately, the movie was cancelled when the attacks happened in real. Talking about his injuries so far, he has broken his nose thrice, injured his knees, dislocated both his shoulders, his pelvis and sternum and crushed his thighs between two vehicles. Also, he has a permanent plastic plug in his skull due to an accident that he sustained while filming Armour of God.